Seriously though, I have a few of her cookbooks and regularly make some of her dishes as our go-to dishes for big meals. If you love her meals and laid back cooking style you should check out her magazines. 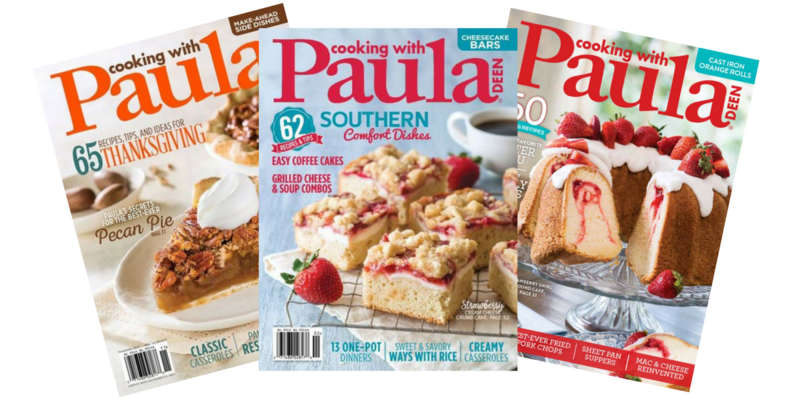 Now through Sunday, April 1st, you can get a subscription to Cooking With Paula Deen Magazine for only $12.99 per year (75% off)! Just enter coupon code SOUTHERNSAVE at checkout to get the discount. This offer ends Sunday 04/01 at midnight.